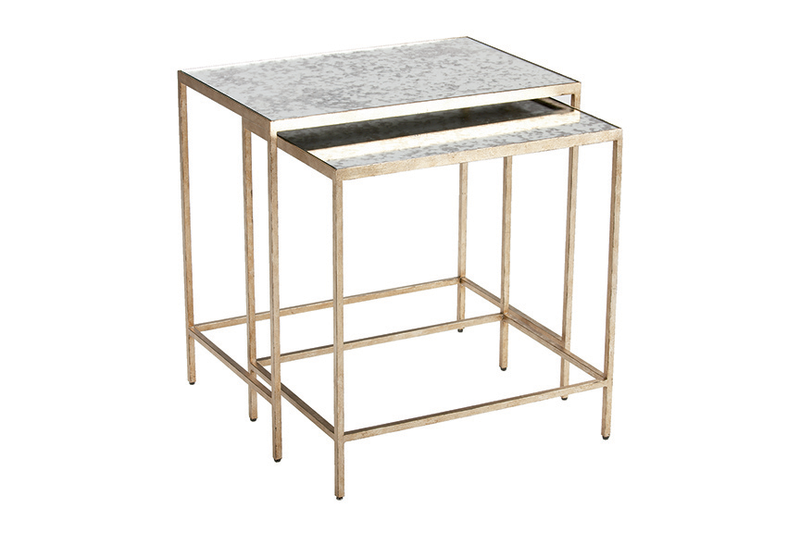 Nesting tables give you endless options for arranging a room. 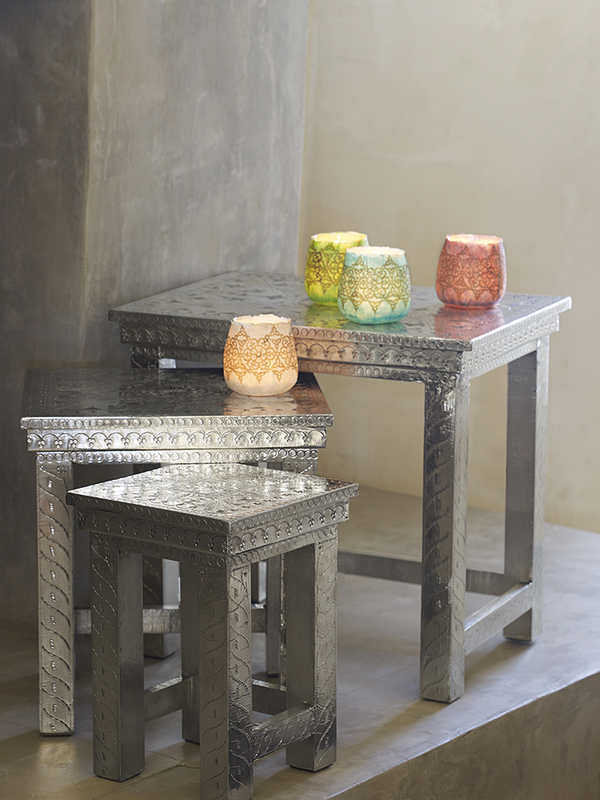 one: Lotus nesting tables, available at Savvy Surrounding Style. two: Giorgio consoles, available at Amini's. 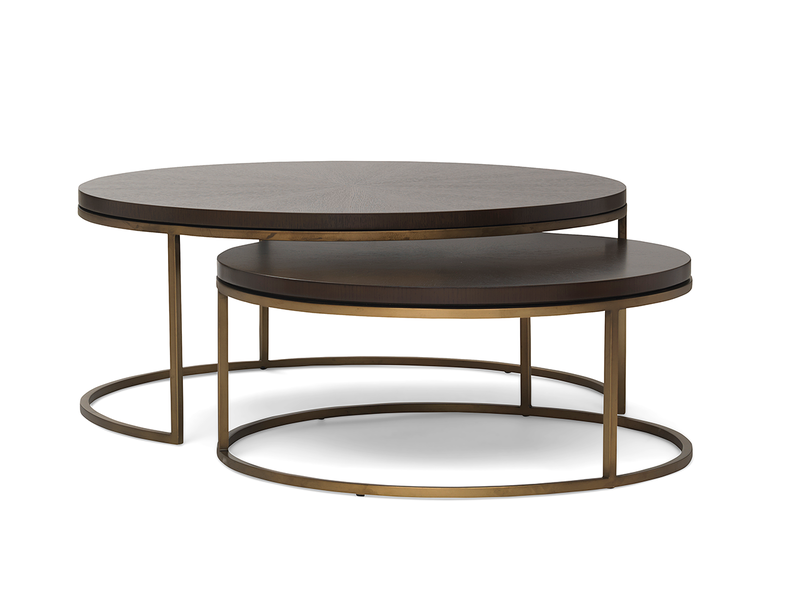 three: Bassey nesting cocktail tables, available at Mitchell Gold + Bob Williams. 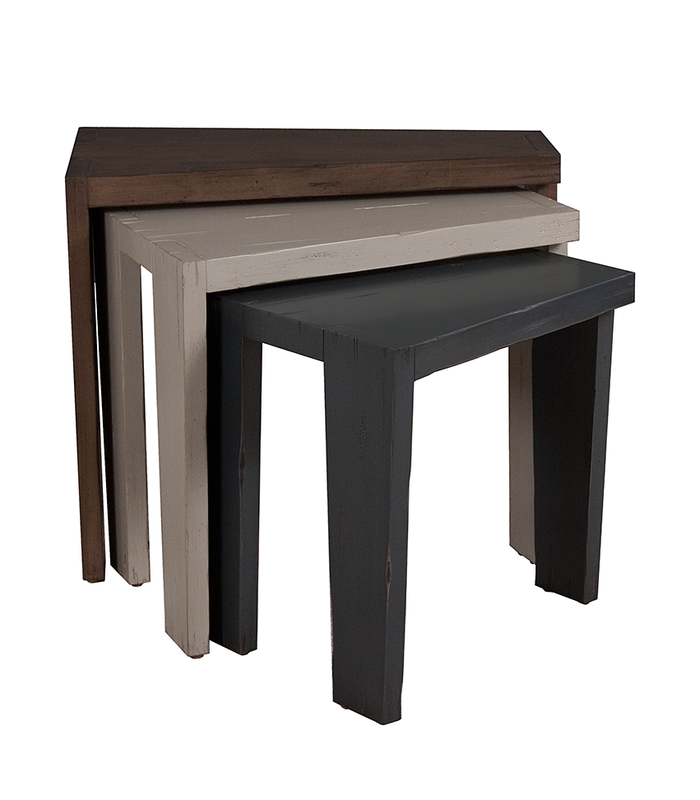 four: Magnolia nesting tables, available at Dau Neu. 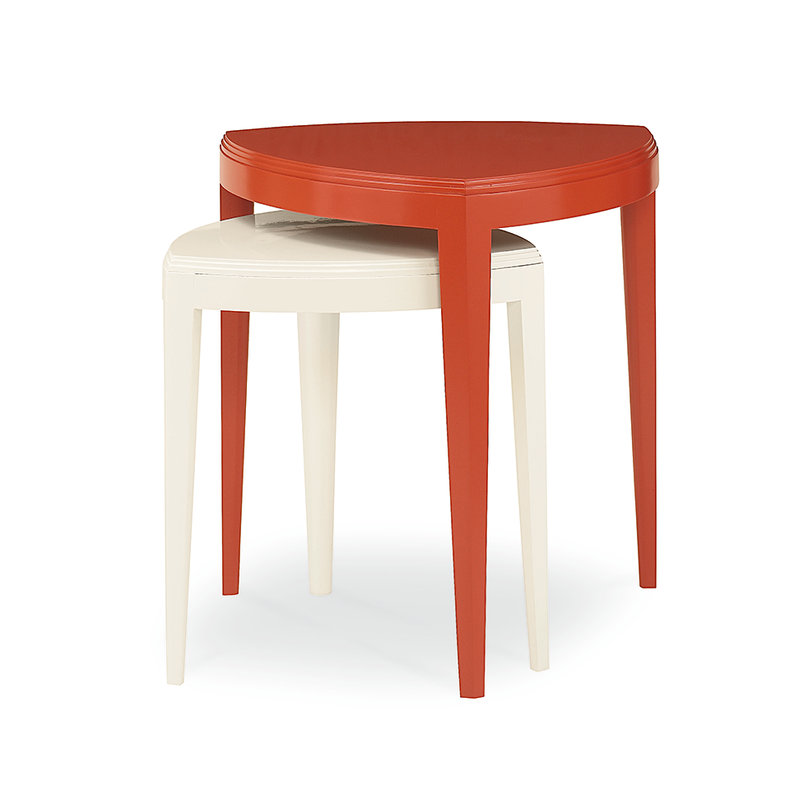 five: Nesting chairside tables, by Century Furniture, available at KDR Designer Showrooms. 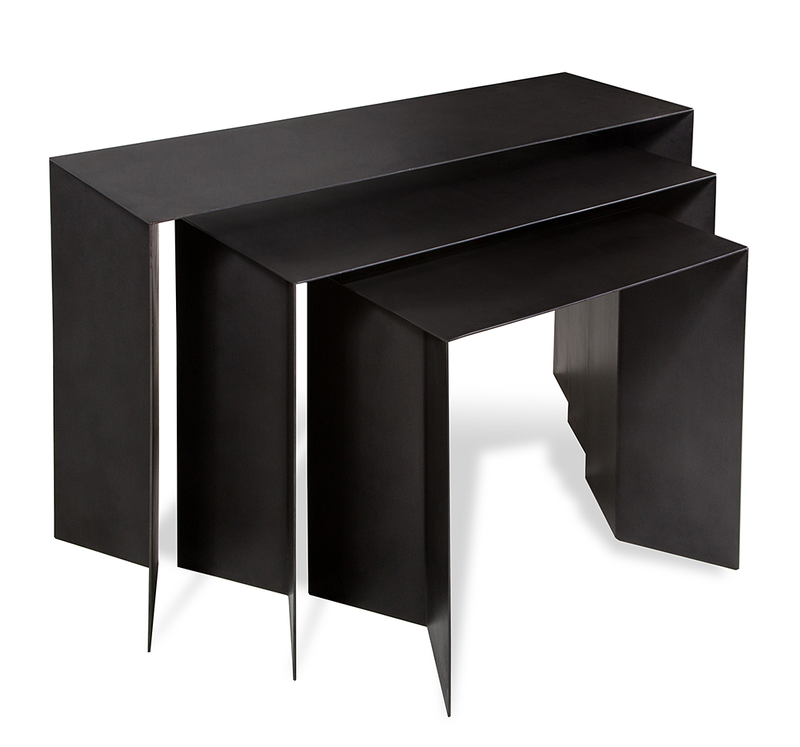 six: Zachary nesting tables, available at Ethan Allen. 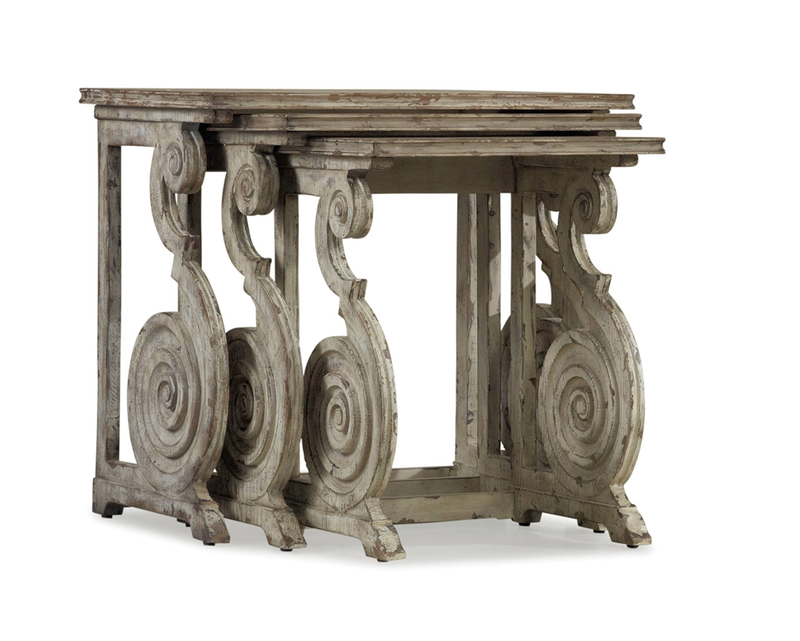 seven: Scrolled nesting tables, available at Imogene’s. 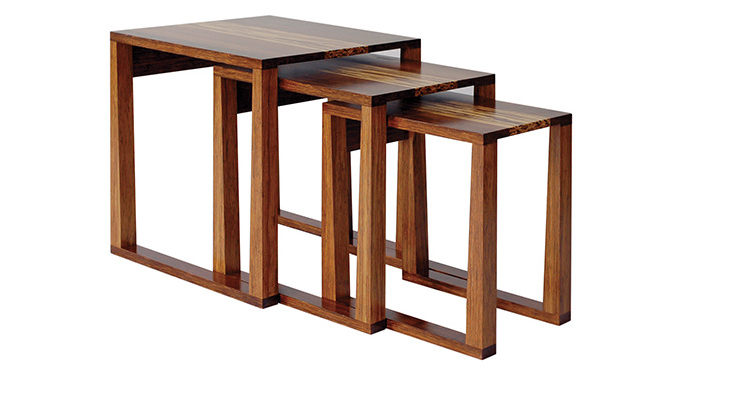 eight: Wedge nesting tables, available at Expressions Furniture.